Poor kid. Except that she's eaten about half a dozen of them already (not counting the dough ... ) and now she's watching kiddie tv programs at 2 in the afternoon while I sit out here on the computer. Hmmm ... I know. But I have earned good-mummy credits. We made cut-out cookies together today. This is one of those pre-Christmas things I remember doing with my own mom when I was little. I don't frost mine, because I like them just this sweet, but we had fun rolling out the dough and sprinkling in seeds and zest and punching out stars and flowers and love-hearts and circles and crabs and even a snail or two. 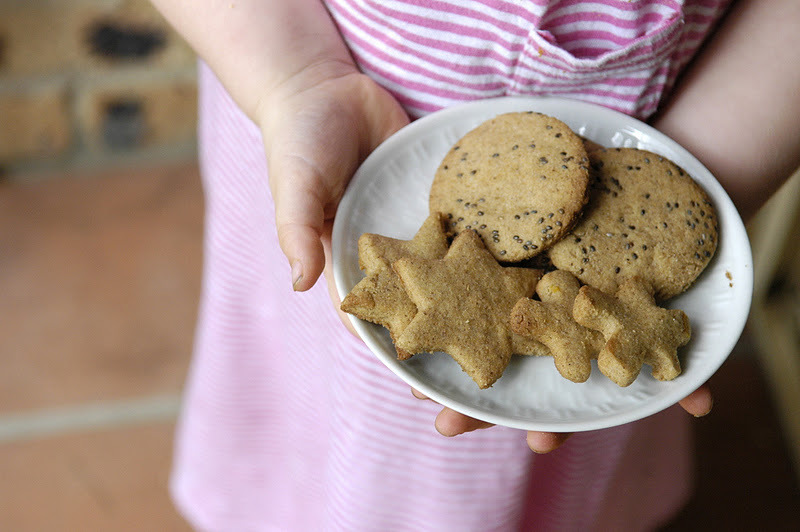 So this is my own family recipe for sugar cookie-cutter cookies - and you can make them with or without the chia seeds and orange zest ... or just one or the other. I actually recommend dividing the batch into thirds or so and trying different flavours. This recipe makes a large batch, because of course you'll want to share them - a jar of homemade cookies makes a lovely gift, and they're great for holiday parties. But if you don't feel inclined to share, you can just stick the extras into the freezer. Just save some for Santa. *Try to use organic ingredients when you can! 1. 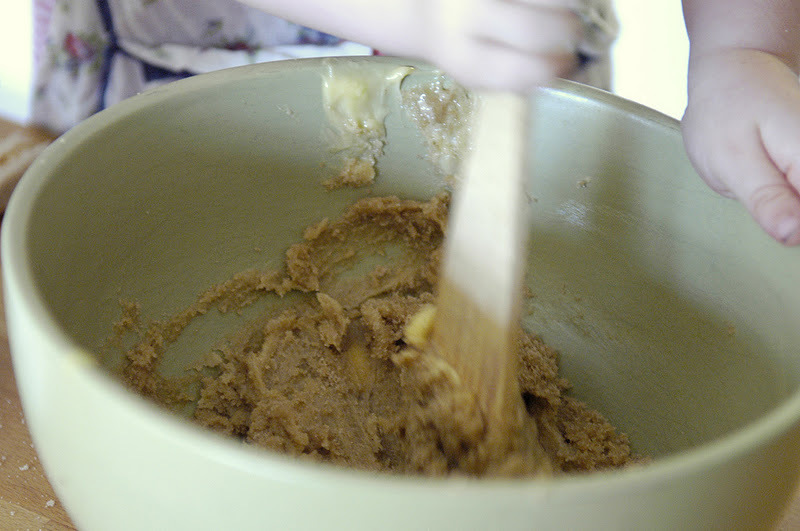 Cream together the brown sugar and softened butter in a large bowl, till it's all mixed. 2. Add in the egg and vanilla and stir. 3. Add the dry ingredients (including the seeds and/or zest) and mix just till combined. Try not to over mix - and you may need to use your hands at the end. When it's combined, form the dough into a large ball and replace in the mixing bowl. Put a lid on the bowl and set it in the fridge for an hour. 4. Preheat the oven to 180C (350F), and line a couple of cookie sheets with baking paper. 5. Divide the chilled dough into a few smaller portions and roll out on a lightly floured benchtop to ~0.5cm (1/5") thickness. Sprinkle extra flour on your dough if it's on the sticky side. 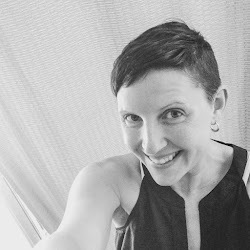 You want it to be of a texture you can actually cut! NOTE: Don't get hung up on how thick or thin the dough is ... thicker dough will just remain softer when it cooks, and thinner dough gets crisper. In my house, I prefer the former and Robbie the latter, so I often make thin and thick cookies anyway. 6. Cut into shapes, place them onto the baking tray ~2 cm (1") apart - they won't spread much - and bake ~8 minutes until they're starting to brown around the edges. When you pull them out, they'll still be softish in the middle and will be prone to falling apart, so I just slide the baking paper off the tray (with the cookies still on it) and onto the cooling rack. I find it safter not to touch the cookies till they've cooled a bit. 7. And once they have, all bets are off. 8. You can store these in a tightly sealed container for a week or two, or freeze them for a couple of months. They look so delicious, Amanda! I hope you have a wonderful Christmas! There always has to be some form of bribe for the kiddlets to pose for food shot right? :-) Your cookies look beautiful. 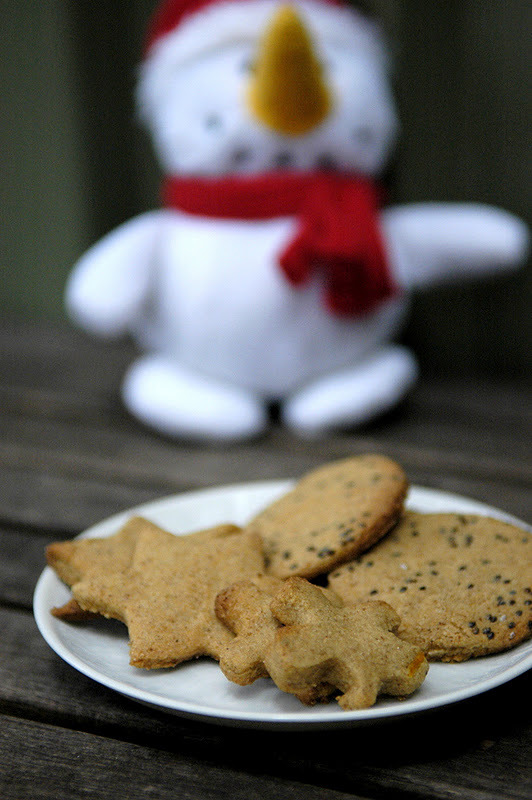 The kids and I made some gingerbread men this morning too, such a great festive thing to do. Merry Christmas to you and your family. I love seeing her little hands in your photos and I love seeing her in the kitchen baking with you. Cookies look wonderful. Best wishes Amanda, to you and your beautiful family for a wonderful Christmas and many blessing for a healthy and happy 2012 to all of you. I'm in love with chia seeds right now. Not only for the health benefits, but they just give a nice look to the recipe too. 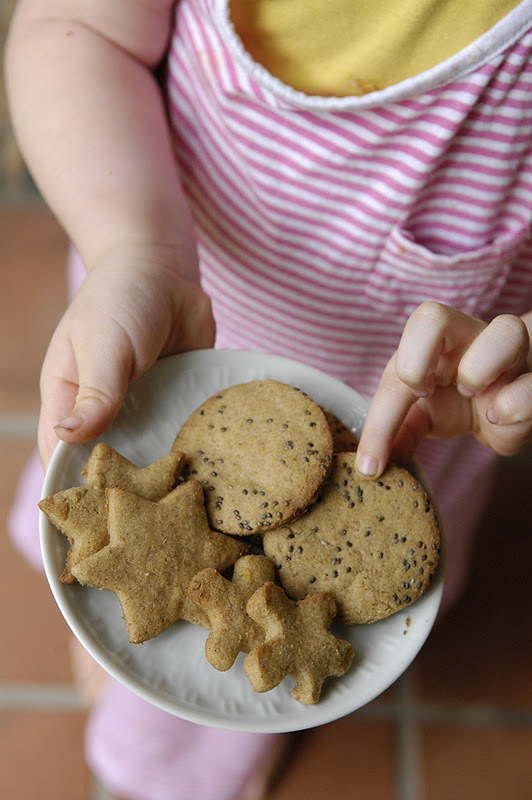 These cookies are no exception - they're adorable! You've inspired me! I bought Chia seeds yesterday and will try your recipe on the weekend!